Mobile phone unlocking has long been something of a grey area in the United States, but when President Obama signed a bill into law that sought to clear things up a little more, many hoped that the floodgates to easily unlockable phones would open. Now T-Mobile is the first to bring mass-unlocking to the people via its newly released and abysmally named ‘Device Unlock’ app. It’s free, obviously enough, and available to download now from the Google Play Store. Unfortunately though, it’s not all good news. For starters, the app can currently only unlock one type of phone, which is ridiculous to say the least. If you’re currently toting the Samsung Galaxy Avant and want it unlocking though, well, you’re in luck! If you’re not, then you’re going to have to wait. We can’t see any real reason why this app wouldn’t eventually work with other phones, so hopefully an update or two will soon sort this particular issue out. If you do have a Galaxy Avant though, you’ll be able to choose between a temporary or permanent unlock with the former designed for those that are going overseas and simply need to be able to put a SIM from a foreign land into their low-specced Android phone. Choose the permanent option and there’s no going back! 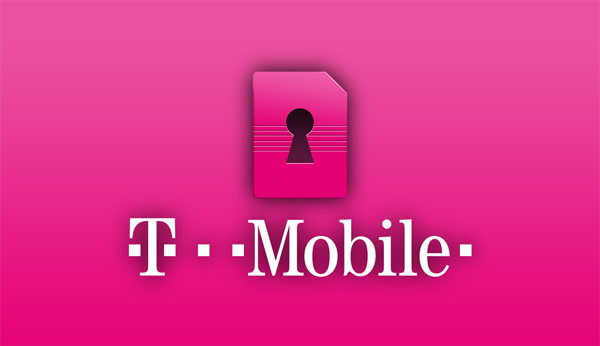 T-Mobile’s own FAQ lays out the specifics about what is required in order to gain an unlock for your phone with the contract being fully paid and the handset not having been reported stolen being at the top of the list. In all honesty it’s pretty standard fare, but worth a read regardless. 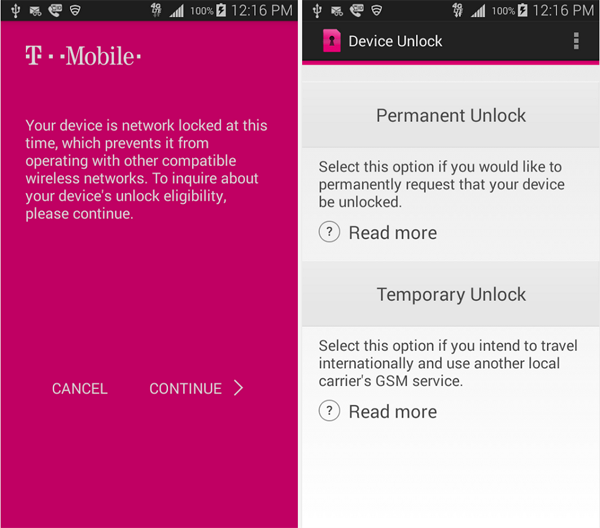 Right now it’s fare to say that T-Mobile’s ‘Device Unlock’ app is all but useless to anyone who doesn’t happen to own the one device that it supports, but it does hopefully show willingness on the carrier’s part. Now we can only hope that more devices are supported sooner rather than later! If you do have that Samsung smartphone which we mentioned a couple of times above, then simply download the Device Unlock app from the link which we’ve embedded below.